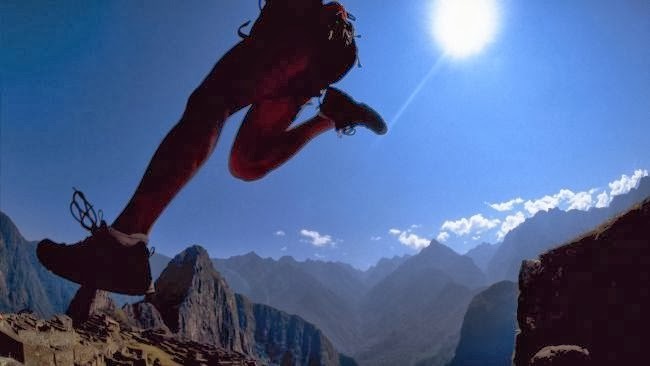 Mountain Trail Running is perhaps the most fitness demanding sport in the world. For most seasoned runners it is beyond a sport or a hobby. It is a conversation between Mother Nature and the Runner. Here are a couple of short and longer trails meant for hiking or running. One can cycle them as well if experienced and fit. 2) The Cedar-Oak Vintage Trail: The trail initially follows from the lodge through the tarmac to the nearby Helipad: a hillock with a 360- degree striking view. This vantage point provides a grand view of the reserved forest mushrooming all over and one is furthermore able to glimpse parts of the Shimla town and the National Highway(22) leading to our village coupled with the Grand view of the closer by mountains and the Himalayan ranges. From the helipad, one blissfully leaves behind the sound of vehicles, the mob of clicking tourists and experiences the sounds of nature as you descend down on the trail which used to be in part the ‘Old Hindustan Tibet Trail’. The trail still remains a passage for the local villagers as a shorter access route (avoiding the highway) along with their herds on occasions. Visit the School for the blind, and start the loop around on this trail that remains untouched and is bountiful; where one finds nature in abundance and one is able to relax the senses and enjoy the sweet chirpings of wild birds, savor the wild flowers, the swaying Cedars, the rustling Oaks and some old colonial houses that mark the way. The walk provides you with a taste of the old village life, a peep at the times gone by and plenty of time to wonder away… until you reach the Presidential Retreat and return to Cedar Hill lodge again. 3) The Cedar Sanctuary Trail: This is the Century old ‘Shimla Water Catchment Sanctuary’ and encloses the Cedar Hill Lodge to its three sides. The duration spent in the forest ranges from an hour to three depending upon the temperament of the hikers/runners that tread in this forest. A Cedar Sanctuary, this pristine undisturbed forest provides a home for a host of wildlife such as the Himalayan: Barking Deer, Leopard, Black Bear, Goral, Jackal, the yellow-throated Martin. In the lower belts of the forest and many areas around one can spot a host of birdlife toiling away such as the Himalayan: Woodpecker, Barbet, the colourful Minivets, Barbets, Cheer, Kokla and Khaleej Phesants. The forest also hosts a rich abundance of Himalayan flora and one can find self by spending the entire day exploring, taking to the sounds of nature and savoring the richness of the forest. 4) The Suburban Mashobra Valley Route: The run takes you into the rapidly changing rural countryside surrounding Cedar Hill and the Shimla town. The run fitness and can be undertaken in three hours on a constant, relaxing pace. 5) The Full Loop to the Mashobra Valley & Back: The entire valley as seen from Cedar Hill below can be covered in this 3-4 Hrs. challenging trail. This trail is an extension to ‘The Suburban Mashobra Valley’: ( Seepur, Shali, Deothi & Mulkoti) and it further continues on to the villages of ( Kanda, Ghorna and Kotidhar). From Kotidhar, one then begins a steep climb back to the highway where not far the Cedar Hill stands. A handful of apple orchards, some wood and slate houses, tumbling tiny streams, old but renovated temples, bustling new schools, terraced fields of assorted vegetables: corn, wheat and potatoes; and glimpses of the famed cannabis mark the route during the hike in this valley. Gut Check - Health and Fitness. 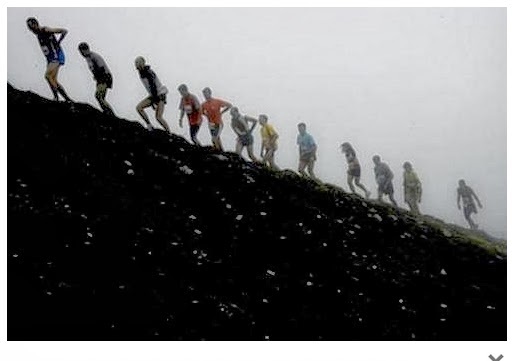 Trail running can never be a hobby only a way of life. 6) The Shali-Tibba Trial: A full day activity, the Shali Peak, dedicated to Goddess Kali has all the elements harmonized for a perfect outing. 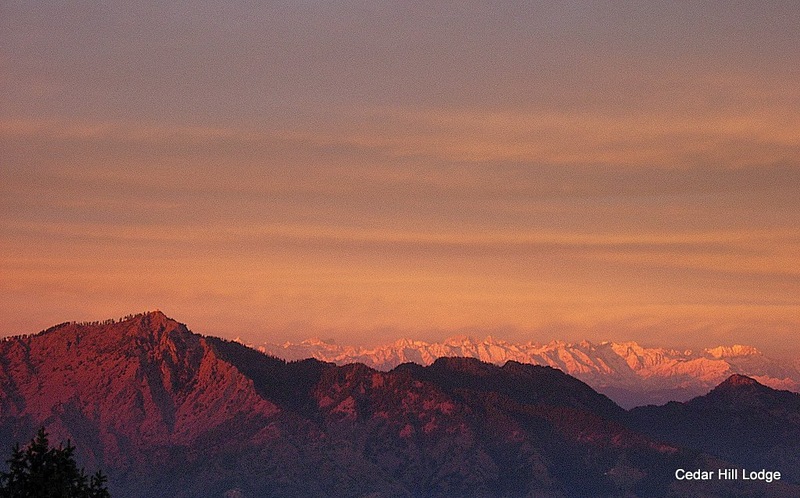 This habitually mist engulfed Peak is the local highest peak in the vicinity of Chharabra and Shimla. On a clear day, the peak offers a breathtaking view of the entire Himalayan ranges as seen from the Cedar Hill. Option (A)::: One enjoys the picturesque drive crossing Mashobra, then Baldeha, leading to a dirt track in part towards the ever beautiful the village Gulshaini and then a steady ascent on a bumpy road to the village of Khatnol. Trail Run 'UP': 1 - 1.5 Hrs. (Same down) unless you're a mountain goat. Total Distance: 35-40 Kms. approx. ***If your holiday includes one of these trails do contact us. We might join you. Shali Peak as seen from Cedar Hill.